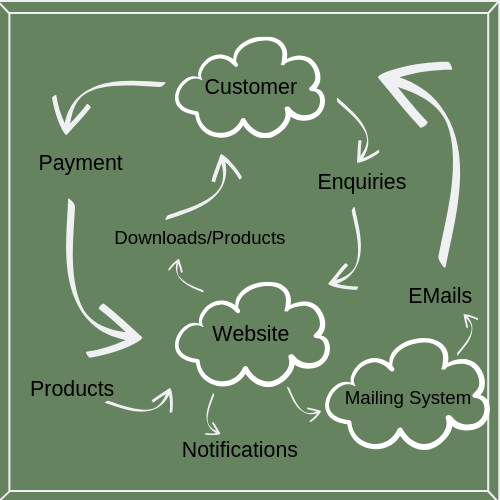 There are plenty of online systems available, designed to make your business automated and streamlined. But with so many options, it often feels more like a headache than a helping hand. Let’s get your systems working together for a smarter office solution. A smooth sales process allows your customers to interact with your business easily, from initial interest, through purchasing and on to a positive follow up. Any hiccup in the process can leave a poor sense of service that turns away future business. However, it’s the smooth integration of systems that ensures customers come back again and again. Webpages providing product detail (e.g. WordPress), linked to Payment Gateways for purchasing (e.g. Paypal or Stripe), with integrated mailing to provide the customer with invoices, purchase information, delivery confirmation (Active Campaign or MailChimp) and, importantly, internal confirmation to you that payment has been received and goods shipped. Creating an effective sales funnel needs more than just great wording and design. Customer experience depends on smooth function and simple payment options. Whatever your preferred marketing method, you need coordinated software that’s simple to set up and launch your campaigns. Your systems are set up, your office is automated – but that doesn’t mean it’s plain sailing. Software updates cause yesterday’s smooth operation to become today’s headache. - Ongoing technical support for both you, and your customers. No matter what your online issues, you are not alone.